Now, you can easily improve your visibility and raise awareness about your brand, but if you want your social media campaigns to scale, you need to take advantage of some key marketing tools available aplenty. These social media tools help you find more content to share, schedule your posts resourcefully, measure and evaluate the efficiency of your campaigns, and use those insights to improve your campaigns. Cloud computing is one great innovation that has taken the world by storm, and the world of social media is also greatly influenced by such platforms as Cloud-offerings. Here are the 7 best social media tools that every content marketer should use. 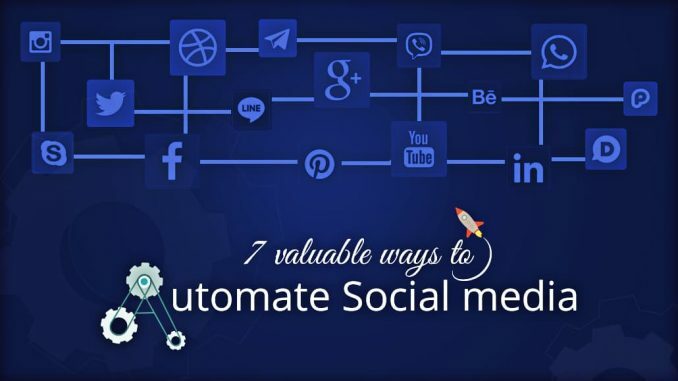 Automation software and apps such as Hootsuite, Buffer, SproutSocial, HubSpot, Social Oomph and Social Flow are the best source to easily automate social media. While each tool may have unique features of their own, they basically allow you to schedule social media posts beforehand and scrutinize your accounts when someone talks about your brand or leaves a comment. For starters, selecting just one tool and scheduling a couple of updates will do. Buffer, for example, happens to be the hot favorite among a lot of people. And for those on the go can also take advantage of a great number of tools with apps, which allows them to stay updated with their social media accounts. Brand24 is another great social listening tool that shows every person that mentions a company’s brand both on social media and a blog post. While they don’t do any social posting, the social listening feature is astonishing. It goes without saying that automation tools like Hootsuite comes across as a great boon. However, you can take further boost that automation by using tools like Zapier and IFTTT. These resources basically enable apps, processes and websites to talk to each other. For example, you could create a “zap” that automatically posts new WordPress posts into your Facebook page. IFTTT allows you to create “recipes” so that you can sync your online profiles or Google Calendar with social media ensuring you never miss a birthday. Once you’ve worked hard on your blog post or creating an infographic, you should ensure it will be seen by your friends and flowers on social media. Using WordPress is quite easy to do as the adequate number of plugins allow you to add social share buttons onto your page or automatically post on social media whenever you publish a new article. Nevertheless, tools like CoSchedule also help you sync your blog content and social media updates in advance. This amazing service allows you to organize your editorial calendar along with the social media channel that you want the content to be shared on. Not all types of content, however, will work on all social media channels. Using classic content for your posts is one of the keys to successful social media automation. If you have had a blog that made for a great reading and did wonderfully well on SEO ranking, then you can use the same content with slight changes. You should go through your archives or you could use a WordPress plugin like Revive Old Posts to simplify the process. MeetEdgar is another fantastic tool that allows you to publish a post and then automatically recycle your top posts many times on a schedule. While it makes little sense to flood your fans’ feeds with the same link to a recently published article, you can still post that as many times as you want. The most effective Twitter users, in fact tweet 3 times per day. Even if you only send out the same content, you’re growing your chances of it getting noticed by a different audience. It’s also a universal fact that whenever you tweet, you have followers online because your audience are from all over the world. And it’s advisable to set up a schedule for tweeting many times a day at particular times. Finding the best content, especially motivational quotes, and schedule them all over the coming months is the best way to go about it. Keep in mind that you can always post something significant to social media whenever you want. In addition to sharing content you’ve created, social media is about sharing other people’s content. Today, curating is easier than ever thanks to those automation tools you’ve been using. Hootsuite, for example, allows you to discover proposed content that you’re interested in based on keywords. Buffer allows you to create a posting schedule based on updates from within your network. You can also use newsfeeds like Feedly, dlvr.it and Scoop.it to curate and share pertinent content. However, there is no better than Curata if you want a more vigorous curation tool. Automation won’t do if you want to have a huge, powerful following. You should ensure that you should have an actual interaction with customers, fans, or followers; people can easily notice when an account is a robot, so rather than get overwhelmed, zero in on completing one task whenever you get some down time. This could be anything from responding to or leaving comments, personally sharing updates or refreshing your profile. You don’t necessarily have to do this every half an hour, but try finding a little bit of time each day or each week to give your account a human touch. 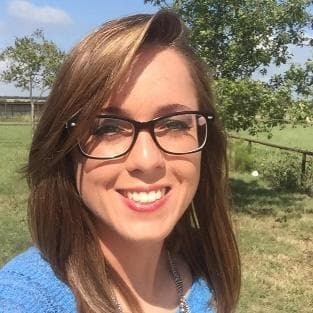 Author Bio: Rebecca Cook is a writer by choice. She loves reading either it’s a book or a blog. She owns an eagle eye vision on the latest technological developments and innovations around the world. She loves to travel and express her experience in words. Being a pet lover, she can’t be found without her twin cats.